Diversity is a concept that permeates entertainment culture in a myriad of ways today. It has become the biggest buzz-word and singular focus of social justice and internet keyboard warriors the world over. We see it in our news cycles (all 24 hours of it), science fiction (I’m looking at you LucasFilm), television, and comic books. Many writers and/or publishers in the above mediums feel the need to impress upon their audience their internal moral superiority by using their stories to strut about the pages of their works like a peacock who is severely wanting for attention. As an entertainment medium, it is entirely reasonable for comic books to touch on and address the political and social issues of their given times, at least in a small part, as this is part of their history. The mistake made, with increasing rampancy, by comic book publishers and writers is that they have largely forgotten what the purpose of doing so is. It is not the grand calling of these publishers to tell people what they should think. Rather, their platform should be used, if at all, in a way that presents both perspectives of a given political or social issue and allows the readers to make their own educated decision on what they believe is better. Sometimes this solidifies what they already held as true, and others it results in a change in perspective. This, of course, is predicated upon the inference of writers doing just that: writing both sides of an issue, and creators should endeavor to adhere to this all-or-nothing approach. Unfortunately, it is something that seldom happens. Exemplifying this is Marvel Comics, who, while their MCU box office-busting films continue to pile their earnings sky high, have experienced a far from an insignificant slump in sales. Marvel claims a title as being a big success now when it sells 20,000 copies. Twenty thousand units are peanuts when compared to the 100k that many of their titles used to move regularly. Why is this? Marvel has some good writers and talented artists; this can’t really be argued. But while I’d love to continue criticizing the SJW practices of the comic book publishing giant, I’ll try to cycle back to something more applicable here. The Civil Rights movements in America are over – historic news flash here, I know – and we don’t need writers proselytizing to us about their imaginary and grandiose injustices plaguing the nation and what they believe we should all be thinking about it. They conveniently forget that people from all walks of life have been relating to and escaping through these characters for decades without the needless, incessant, social justice warrior patronizing. DC started to make this mistake for a short while as well with the New 52 universe relaunch in that they decided to retcon much of the beloved lore of the universe they had built. It seems with the current Rebirth era that they have learned from their rival’s declining sales numbers and are returning to their roots, which is precisely what fans wanted: fresh new stories with the characters we’ve grown to love over the last few decades. If they want to have new characters, then let them be that – new characters, not re-skins (unintended pun) of existing ones for the sole purpose of flaunting how woke and diverse they are. Well-written characters transcend gender and racial barriers, period. A terrific example of this is Wally West, the first Kid Flash, and third Flash, who was an integral component to the expansion of the DC mythos following the events of 1985-86’s Crisis on Infinite Earths. His iteration of the Flash was the one who those such as myself (having grown up through the late 80’s-on), and many others who watched the Justice League animated series knew to be the Flash. He was our Flash – he was my Flash. When DC introduced the New 52 Wally, we all cried foul, not out of some ignorant bigotry or racial insensitivity, but rather because we had grown up with Wally West as “The Fastest Man Alive.” Wally West had been an uncommonly relatable character (for someone who could run faster than instant teleportation) and had grown as we had, through triumphs and tragedies. New 52’s Wally not only held absolutely nothing in common with the aforementioned speedster we’d grown up with, but he also was unnecessarily convoluted in his parentage and simply poorly written on the whole. Furthermore, the character’s writers had the opportunity to make him likable and interesting but instead took the opportunity to have the introduction to the future first African-American Kid Flash be one of a token, adolescent delinquent going GTA on Central City. 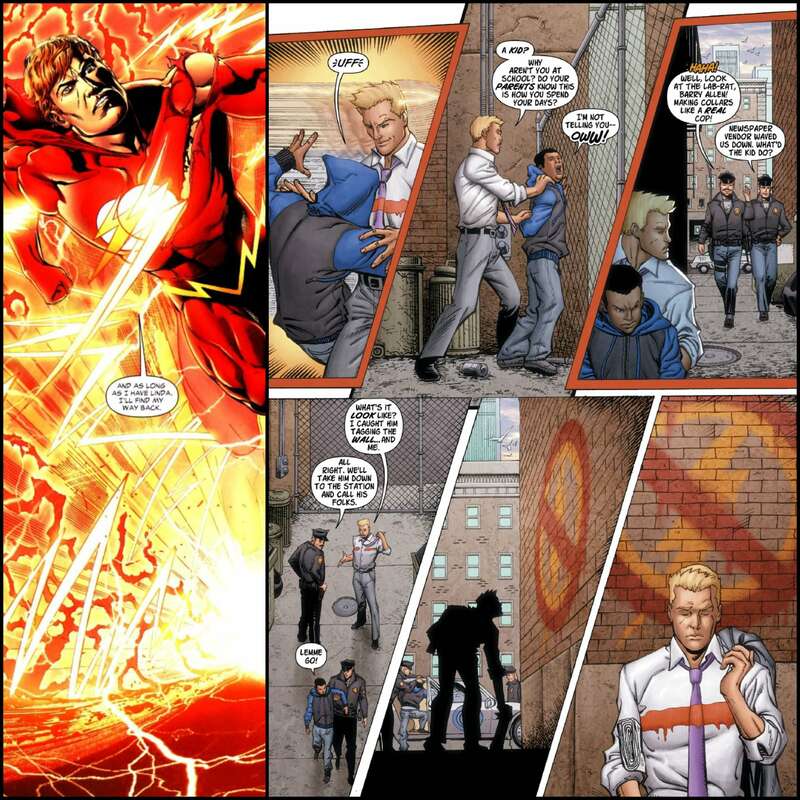 As with many other fixes to the New 52 continuity, Rebirth has given this second Wally West a fresh opportunity at growth and, under the watchful keyboards of Joshua Williamson in DC Rebirth: The Flash and Benjamin Percy’s in Rebirth: Teen Titans, he is being given a chance to come into his own. Diversity is a truly good thing, and it can be a phenomenal way to give some (emphasis on “some”) readers characters that they can latch onto at a more personal level than perhaps they could have otherwise. But that cannot be the crux – the end-all-be-all; it cannot and should not be a matter of, “We don’t have enough of ‘X’ represented” and that’s the sole reason for a character’s existence, because in and of itself that simply doesn’t make for a compelling character or story; this sort of “writing” is at best quixotic. 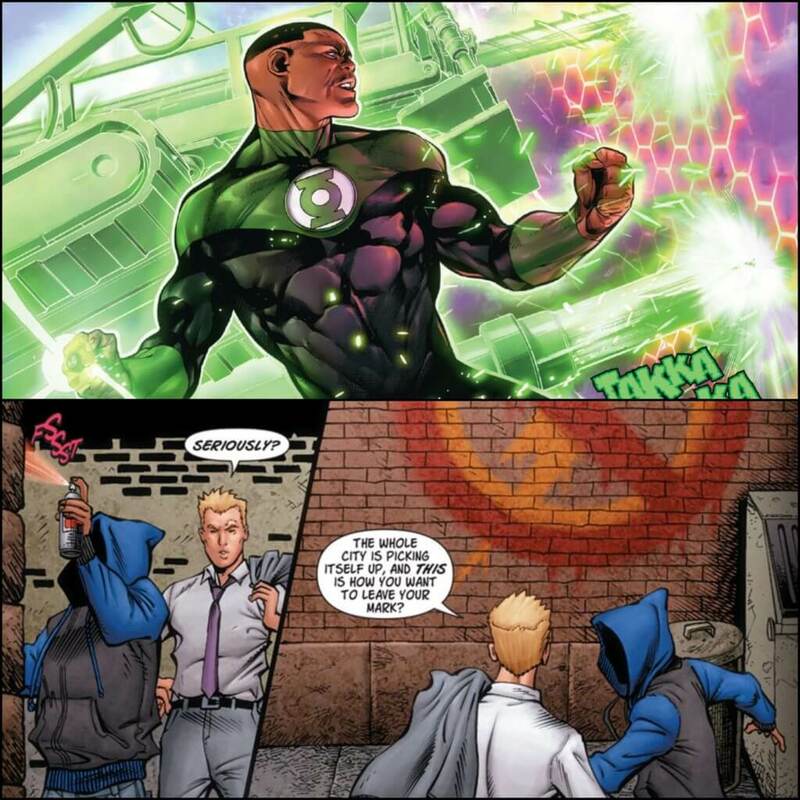 There is a multitude of fantastic black characters such as the Green Lantern John Stewart, who is a true born leader among the Lantern Corps while Hal Jordan does his best work as a solo artist or with the Justice League. 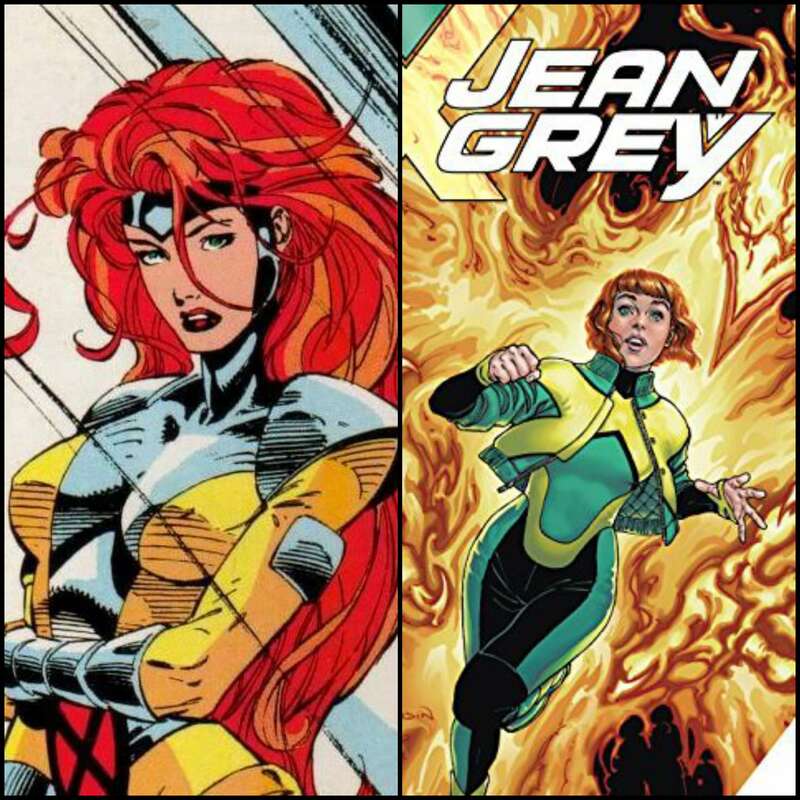 Similarly, there is no shortage of excellent female characters (several of whom take upwards of half or more of my DC and Marvel Top 10 lists). 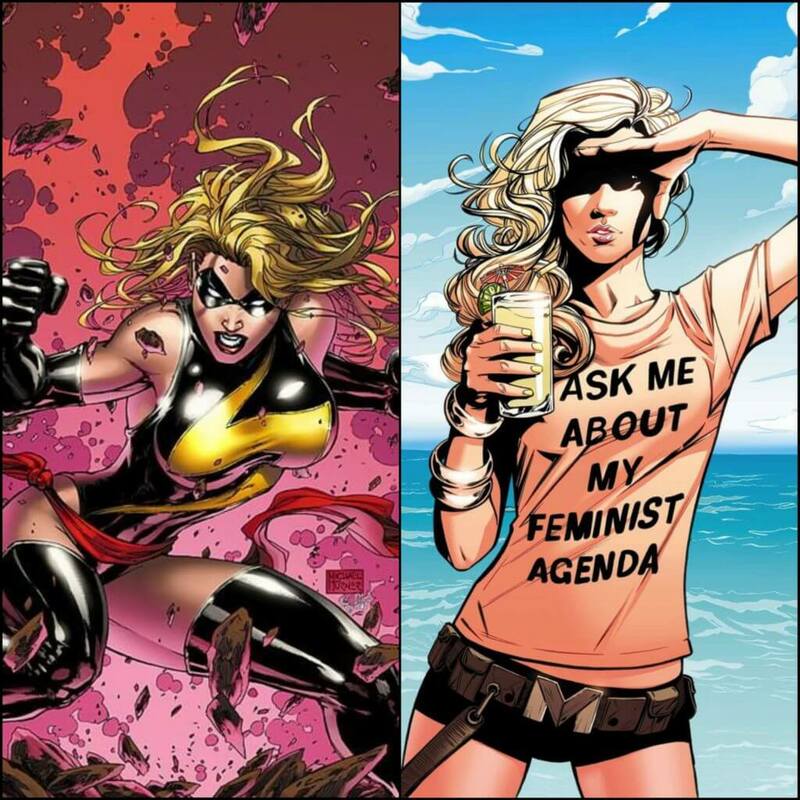 Strong female characters have not been in a state of famine in a very long time and anyone claiming otherwise – that they’ve been sidelined as damsels in distress – hasn’t touched a comic book since the 40’s. Say what you want about comic books in the 1990’s and early 2000’s and how female characters were illustrated; they sold well and not only that, they were entertaining from a literary perspective, and honestly, isn’t that the point? Comic books are a visual and literary medium after all, and given that, attractive characters (male or female) and equally interesting stories around them should be contemporaneous of one another. Supergirl, Wonder Woman, Starfire, Raven, Black Canary, Jean Grey, Emma Frost, Shadowcat, Storm, Ms. Marvel (the original one that is oddly now Captain Marvel even though there was already one of those) and more are all great characters who have had a number of equally great stories written around them. How, then, can writers attempt to tell us that we, comic book fans, are all bigoted and intolerant when in point of fact we’ve been supporting these characters for decades? It would seem that they don’t look in the rear-view mirror at the sales which books involving these independent and powerhouse women once generated. Comic book fans are no longer widely stigmatized in the mainstream as we once were, due in no small part to the pop-culture giant that the Marvel Cinematic Universe has become (you’ll get there DC; just more Wonder Woman quality and less Batman v. Superman). We’re no longer thought of as the mother’s-basement-dwelling and socially inept nerds, having neither the ability to carry on a meaningful conversation with a real human being nor interact with society and the world around us. Why do comic sales drop when their respective writers go off the rails on us from their high marble pedestals and consequently have to relaunch failing titles repeatedly? It’s because we weren’t born yesterday. We are acutely, by way of association, aware that diversity (in its most positive form) and geek culture are concomitant. We know better. We aren’t drinking their Kool-Aid and don’t buy into what they’re selling, but rather give our money to the creators who show their appreciation for us. So I say bring on the diverse characters, by all means (but be warned for messing with our classics); however, put a true, concerted effort behind their writing so that we can all enjoy them for how they should be – individuals, just like real people. Less tokenism and more leg-work with writing characters. And for the love of all that is comics, stop force-feeding us the SJW nonsense like we’re ignorant and naïve babies who don’t want to eat our vegetables. So comic book readers just want entertaining stories with fantastic art to go along with it, right? Yes, it really is that simple. We don’t care one iota about what a given writer’s personal politics are or what their position on any one social issue is; we just want them to do what they are paid to do, and furthermore we don’t care one bit about whether a character is black, white, pink, polka-dotted or striped like a zebra. If they want to get paid to preach to people, then maybe they should reconsider their career path. And by no means should companies like DC and Marvel be rewarding or punishing their employees based on the aforementioned personal beliefs. But what does need to come to a full stop is the way in which some of these writers act towards those with whom they disagree. Social media is an excellent tool for creators to directly address their fans, but far too often (and any instance is one too many) we see some of them going off the rails and demonstrating such an incredible lack of decency and control if another creator holds a difference of opinion, or even worse when fans hold views that oppose their own. We see them attacking and vilifying people from their pedestals of moral outrage who want to give them their money, even resorting to name-calling (I mean seriously, what are you – 5 years old?). This year has seen a demonstrative uptick in crowd-funded comic books and an equally marked decrease in sales for more well-established brands. This isn’t because people no longer like reading about Batgirl, Spider-Man or the X-Men, but because these companies have traded quality writing for social justice sermons and that’s simply not what comic fans want. We can all have different views. That’s the greatest beauty of geek culture: we all come from vastly different walks of life and yet can come together and enjoy all of the same characters; we just don’t want that stuff shoved down our throats. The sales themselves don’t lie, however, and if large comic book publishers continue to split fans into categories of, “You like my ‘diverse’ writing so you’re cool” and “You don’t like my ‘diverse’ writing, therefore you’re a racist, sexist, etc.,” then their sales will continue to decline. Perhaps if they spent less time giving a platform to garbage-tier writers and artists, resulting in slumping sales and repeated book cancellations, they would have more revenue to throw at the writers and artists that deserve to be on these books full-time and not relegated to just being variant cover artists. I would bet folding money that I disagree with many of my favorite creators on no shortage of topics, but as long as they treat their fans right regardless of their varied beliefs, then I want them to get all of the work that they can handle because, quite honestly, I don’t care about their politics – I contribute to their paycheck solely based on their talents alone. It is here, then, that the road for the comic book industry – a truly great passion of mine if you couldn’t tell – bifurcates: publishers can reign in their employees who are truly talented but hurt their own sales via Twitter outrage Olympics, cut loose those who don’t comply or are simply not up to fans’ standards, and then bask in the sunshine of the resulting resurgence in sales; or they can continue to treat their comic books as a pulpit for their own personal agendas and suffer the inevitable consequences of their Sisyphean desires and watch as the financial wellspring dries up and more readers jump ship to books that just want to provide quality entertainment. There is a revolution of sorts taking place within the realm of not only comic books but geek culture as a whole, and with talents such as Ethan Van Sciver bringing back his long-awaited Cyberfrog, Mitch Breitweiser’s Red Rooster, Richard Meyer and Jon Malin’s Jawbreakers, and a host of other booming fan-backed projects, the pool of choice for disenfranchised fans is quickly growing. Continued mistreatment of the fans both on social media and in the medium foretells an axiomatic outcome, and we don’t bring guillotines to our revolution, we bring trebuchets.